for Best Retirement Villages and Best Aged Care. ...for sharing your experiences. We have received over 2500 reviews and ratings which go towards this years awards. Congratulations to Ryman Healthcare for being the inaugural winner in this category. Katrin Hobson (Hearing Technology) presents Group Provider Award (Nationwide) to Nicki Brown & Adrienne Sincock, on behalf of Ryman Healthcare. Christchurch currently has the most multiple Award-Winning Facilities. 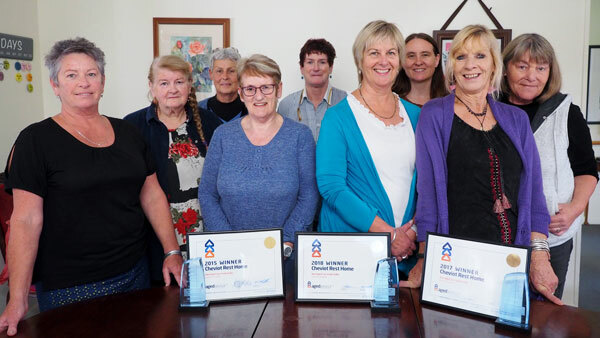 Cheviot Resthome: Manager / Owner, Sue Coleman with some of the team and their Awards for Best Small Aged Care Facility - South Island (3 Years in a row!). Diana Isaac Retirement Village, Christchurch. 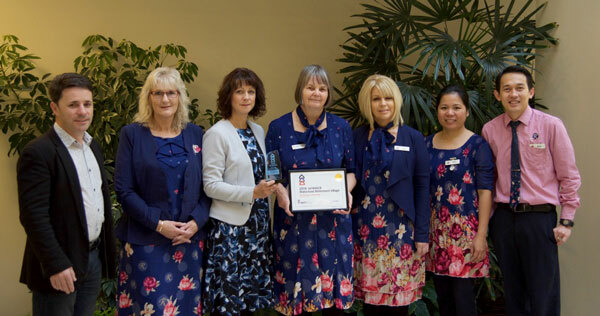 Presentation of Best Retirement or Lifestyle Village Award - South Island. 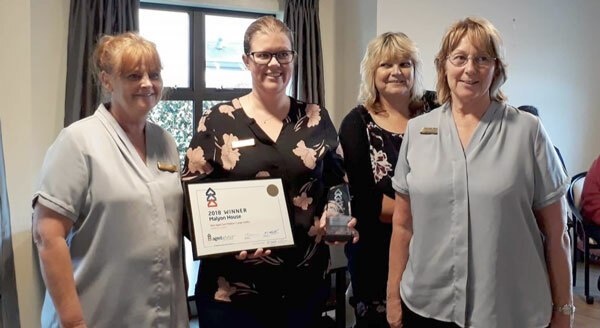 Nicki Brown, Village Manager (centre left) and some her team receiving the award from Nigel Matthews, AgedAdvisor (left). Presentations to the North Island winners. Congratulations to all of you. 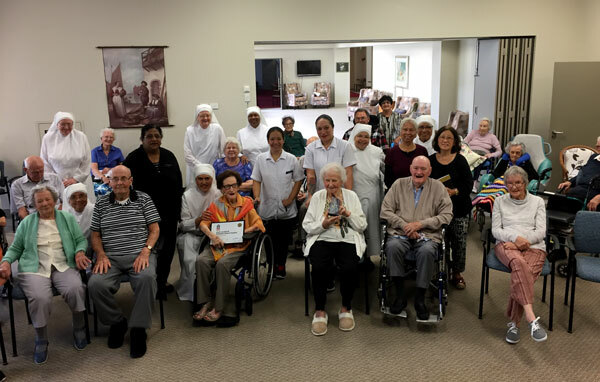 St Josephs Home of Compassion, Auckland. Presentation of Best Small Aged Care Facility Award - North Island. Presentation of Best Med / Large Aged Care Facility Award - North Island. Amy Munro (Owner) with some of the team and their latest award. 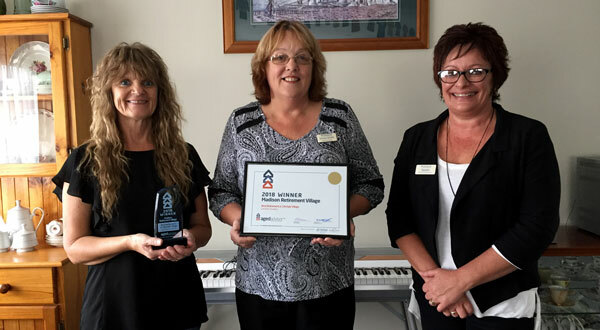 Presentation of Best Retirement or Lifestyle Village Award - North Island. Sonya, Village Manager (center) with some of the team. Note: Aged Advisor winners are based on independent reviews and opinions from people that live, visit or work at the retirement/lifestyle villages and residential care facilities throughout New Zealand. 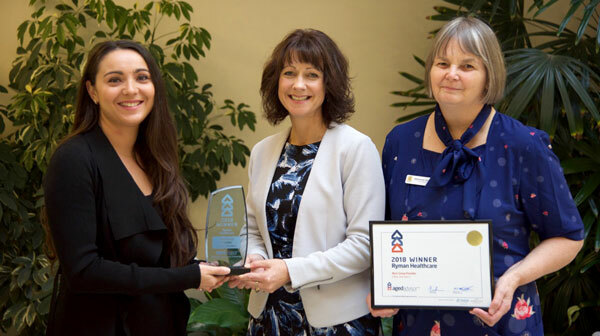 The team at Aged Advisor are thrilled to celebrate the exceptional organisations who offer independent living options or care for our older generation, and are proud to award them with the recognition they deserve. Entry is now open for next years Awards. Make sure to write your review.